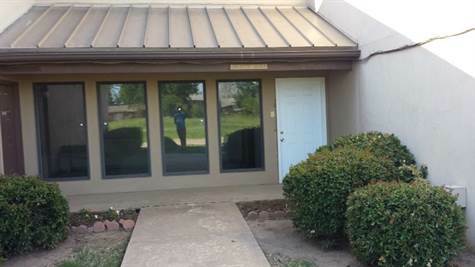 Park Lane Estates, Edmond - Available: 7/4/2014. 3 bedrooms, 2 full baths, 2 car garage, 1.434 sq. ft. (est. ), built in 1988 in the Park Lane Estates Addition. No interior pictures available yet as it is currently being totally remodeled with granite in the kitchen, new paint, carpet & fixtures. Fenced yard and open patio. Edmond Schools. Rent: $1,350. Deposit: $1,350. Pet Deposit: $300-$500 per pet - No Cats. Directions: E. of Santa Fe on W Danforth Road, S. on Blue Ridge Drive, E. on Rocky Mountain Way. Meadow Run 3, Moore - The single story at 1613 Jordan Drive has been sold. Northpark, Moore - The single story at 721 NE 21st has been sold. 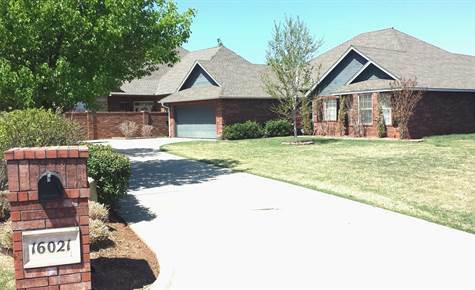 Antler Ridge, Edmond - Available: now. 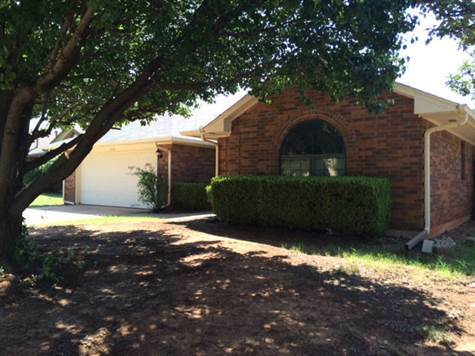 4 bedrooms, 2 full baths, 2 living, 2 dining, 3 car garage, 3,145 sq. ft. (est. ), built in 2008 on .86 acre, in the Antler Ridge Addition. Wood, carpet & tile flooring. 10 foot ceilings in every room. Large living with fireplace. Spacious kitchen with island, breakfast bar, granite counters and walk-in pantry. Refrigerator, double ovens, microwave, dishwasher and disposal. Tons of storage thru-out. Master suite has a large walk-in closet, double vanity and jetted tub. All bedrooms are large and have large closets. Sink and storage in laundry room. Well water, no sprinkler, aerobic septic, RDS trash, all electric (avg. bill $200), propane tank for fireplace (currently empty). Septic service included. Spacious covered patio, no fence, no cats, lot sits on the lake (catch & release), neighborhood playground. 6-8 person storm shelter. Deer Creek Schools. Exterior: Spacious covered patio, no fence, no cats, lot sits on the lake (catch & release), neighborhood playground. 6-8 person storm shelter. Oklahoma City, Cleveland County - Available now. Tenant pays electric, gas, water & sewer. Alarm service included. 5 offices, kitchen & bathroom. 1,184 sq. ft. (est. ), built in 1984. Office sizes are: 14x11, 12x9, 9x11, 15x10 and 10x10. East of S. Pennsylvania Ave on SW 89th Street. To view this office, please call (405) 313-6820 or (405) 285-2635 (office) or rentals@elitereandleasing.com (email). Visit our Website at: www.RentalHousesOKC.com. Owner Owner Custom w/ Extras! • 2,026 sq. ft., 2 bath, 3 bdrm single story - SALE PENDING $189,900 - Priced to Sell! 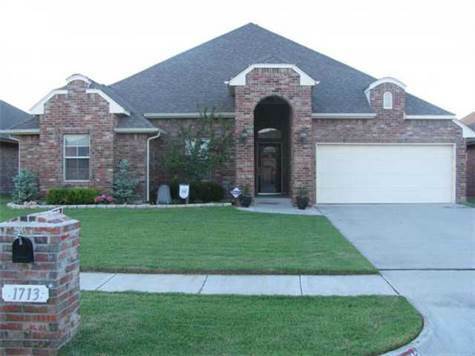 Traditions Phase II, Edmond - Call or Text Ty Weston to view this home at 405-823-0061 . Custom built one owner w/ extra's! Heated & cooled Florida room w 10 windows, solid oak woodwork,built-in entertainment and bookshelf,oak cased windows,abundant storage,GE Profile stainless appl,island,under & over cabinet lighting,wood,tile&carpet,recessed lighting,spacious bathrooms w/ linen storage,bay window,u-shaped master closet w/ double entry& built-in dresser,garage shelving & workbench,backs up to greenbelt,skylight,jetted tub,charming! *Seller is offering a $2,000 paint allowance for interior paint! 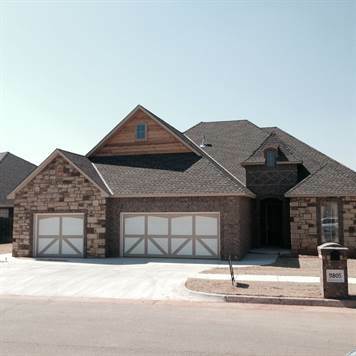 Rose Creek, Edmond - New Construction in Rose Creek! Builder builds a beautiful high quality home, lots of beautiful woodwork and attention to details Plenty of time to customize this home!. Estimated completion date is September 2014. 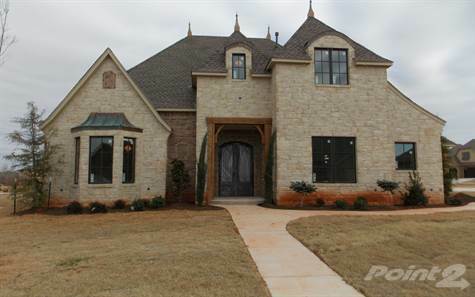 Glenhurst, Oklahoma City - Beautiful addition, close to schools, shopping & highways. Lot backs up to greenbelt. Builder builds a beautiful home with SS appliances, granite throughout, crown molding and lots of beautiful wood work. 3 cm granite counter tops in kitchen, baths & laundry room. SS appliances, gas cooktop, built-in oven, laundry room has access to Master bedroom closet, mudbench, Buyer can pick colors! Glenhurst, Oklahoma City - Beautiful woodwork & crown molding, builtins, fireplace, granite in kitchen, baths & laundry room, cabinetry built on site, mud bench, study has closet and can be used as 4th bedroom, wood floors, beautiful tile work, bull nosed corners, archways, house wrapped in Tyvec for energy effiency. This builder pays lots of attention to detail and has the best price in Glenhurst! Great family neighborhood, close to shopping, schools & turnpike!